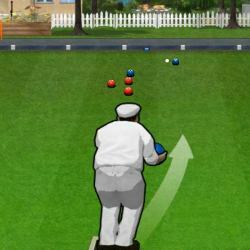 In this lawn game you roll slightly asymmetric balls, called bowls, so they stop as close as possible to a smaller white bowl called the jack or kitty. You can play against the computer or a friend. Aim using the LEFT and RIGHT ARROW keys. 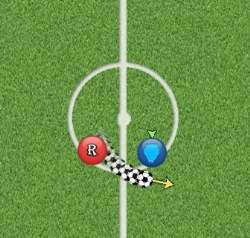 Press the UP ARROW to change whether the ball will roll to the left or right. 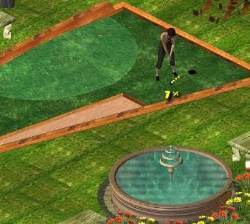 Hold down the SPACE BAR to set the power and release to roll the bowl. Click here to send Bowls to your friends using your default email program.